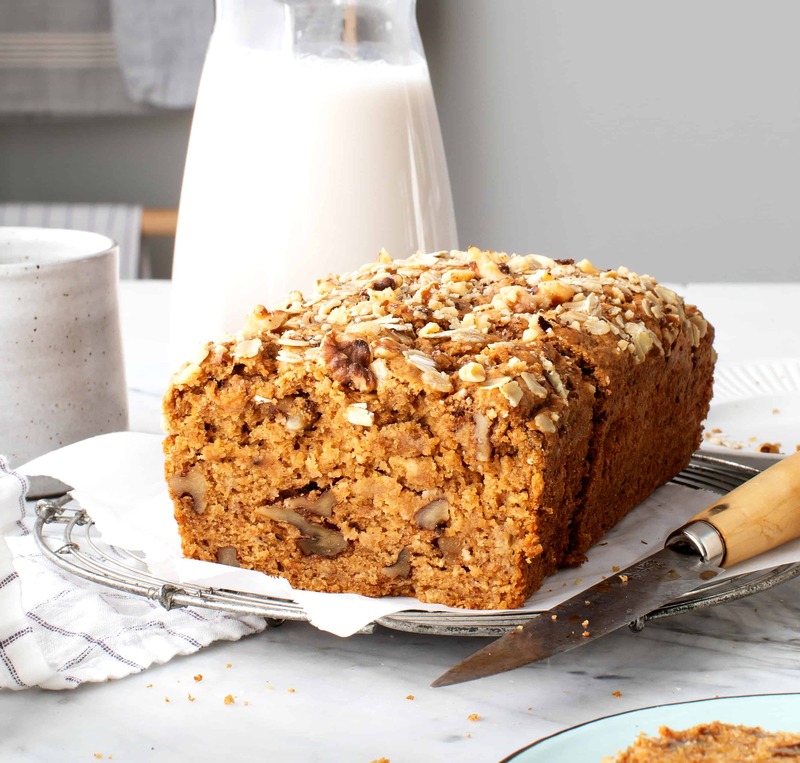 This easy, healthy banana bread recipe is moist, warmly spiced, and full of banana flavor! It's vegan, and it's delicious as breakfast or afternoon snack. Preheat the oven to 350°F and brush a 9x5-inch loaf pan with a bit of olive oil. In a large bowl, combine the mashed bananas with the sugar, almond milk, olive oil, vanilla, and apple cider vinegar and whisk until combined. In a medium bowl combine the flours, baking powder, baking soda, salt, cinnamon, and nutmeg. Add the dry ingredients to the bowl with the wet ingredients and stir until just combined, then fold in the walnuts. Bake for 42 to 50 minutes, or until a toothpick inserted in the middle comes out clean. *I like Bob’s Red Mill Whole Wheat Pasty Flour because it’s lighter than regular wheat flour. You could also use a 50/50 mix of regular whole wheat flour and all purpose flour.